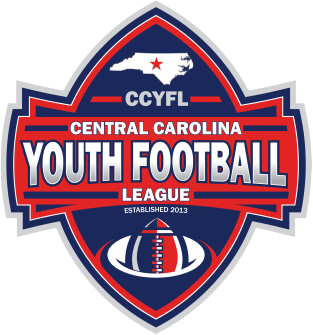 THE CENTRAL CAROLINA YOUTH FOOTBALL LEAGUE WAS ESTABLISHED IN 2013. THE PURPOSE OF THE LEAGUE IS TO PROMOTE FOOTBALL ON AN ORGANIZATIONAL BASIS WHERE TEAM SPIRIT AND SPORTSMANSHIP BECOME EACH PARTICIPANT'S PRIME OBJECTIVE. TO TAKE INTO CONSIDERATION AT ALL TIMES THE HEALTH, SAFETY AND WELL BEING OF EACH INDIVIDUAL PARTICIPANT ON ANY TEAM. TO DRAW YOUTH FROM DIFFERENT COMMUNITIES AND ENVIRONMENTS INTO CLOSER FELLOWSHIP THROUGH PARTICIPATING, ON THEIR OWN LEVEL, IN A MULTI-COUNTY SPORTS PROGRAM. IN AN EFFORT TO IMPROVE PLAYER SAFETY AND PROVIDE A MORE COMPETITIVE Environment FOR OUR CCYFL ATHLETES. THE BOARD OF DIRECTORS ARE PLEASED TO ANNOUNCE A NEW PARTNERSHIP WITH THE UNITED YOUTH FOOTBALL LEAGUE. 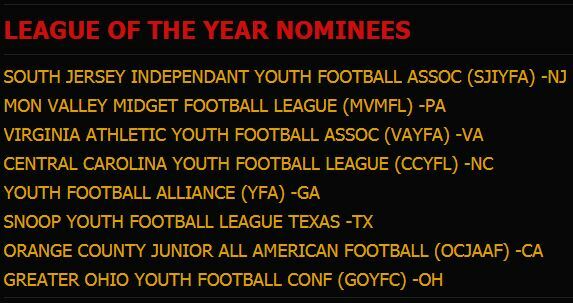 THE UYFL IS THE FASTEST GROWING YOUTH FOOTBALL LEAGUE IN THE UNITED STATES. OUR PARTNERSHIP WITH UYFL WILL PROVIDE MANY EXCITING OPPORTUNITIES FOR OUR ATHLETES FOR YEARS TO COME. TO LEARN MORE ABOUT UYFL CLICK THE LOGO above. USA HEADS UP FOOTBALL IS THE NEW STANDARD IN SAFETY FOR FOOTBALL. BY JOINING USA HEADS UP FOOTBALL PROGRAM CCYFL COACHES WILL BE CERTIFIED BY THE BEST SAFETY STANDARDS IN FOOTBALL. TO LEARN MORE ABOUT HEADS UP FOOTBALL CLICK LOGO ABOVE. HEY CCYFL FANS WE ARE TEAMING UP WITH SCORESTREAM TO PROVIDE CCYFL SCORES IN REAL TIME. DOWNLOAD THE SCORESTREAM APP NOW AND START FOLLOWING YOUR FAVORITE TEAM. USE THE APP DURING FOOTBALL GAMES TO FOLLOW ALL THE ACTION AND JOIN IN BY POSTING SCORES, PHOTOS, VIDEO AND CHAT WITH OTHER FANS AND RIVALS! CENTRAL CAROLINA YOUTH FOOTBALL LEAGUE TWILL BE PARTNERING WITH CHARLOTTE METRO YOUTH FOOTBALL LEAGUE. THIS PARTNERSHIP WILL AFFORD OUR STUDENT-ATHLETES AN OPPORTUNITY TO LEARN FROM SOME OF THE BEST COACHES IN THE COUNTRY AS WELL AS GIVING THEM AN OPPORTUNITY TO SHOWCASE THEIR TALENTS ON A NATIONAL STAGE. EXCITING CHANGES ARE HAPPENING OVER THE NEXT FEW WEEKS AND MONTHS AS WE STRIVE TO GIVE OUR KIDS EVERY OPPORTUNITY TO LEARN THE FUNDAMENTALS OF THE GAME OF FOOTBALL AS WELL AS EXPAND AND SHOWCASE THEIR TALENTS! CENTRAL CAROLINA YOUTH FOOTBALL IS PLEASED TO ANNOUNCE IT WILL EXPAND TO A 14 & UNDER DIVISION FOR THE 2016 SEASON. 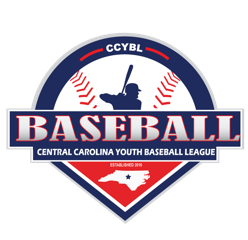 "TAKING YOUTH BASEBALL TO THE NEXT LEVEL"